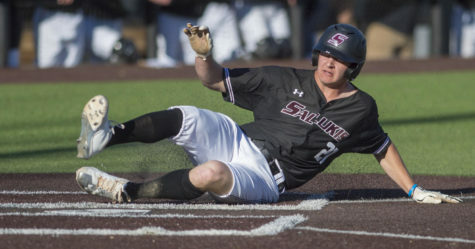 The SIU baseball team seemed to be running on empty as the Salukis mustered only one hit Tuesday night in a 4-0 home loss to non-conference opponent Austin Peay. Freshman pitcher Henry Boeckmann took the mound for his second start of the season Tuesday night. 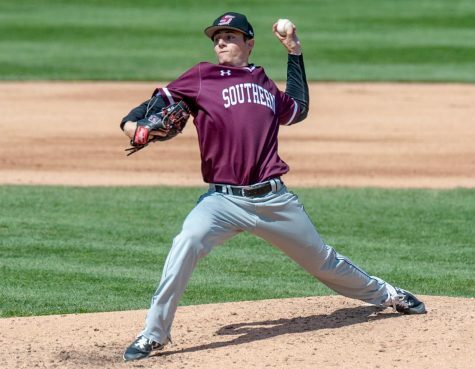 Boeckmann pitched well in his first career start against Arkansas State on March 29, completing 3.0 innings, allowing only one run on one hit and three walks. Tuesday’s outing was not as successful for Boeckmann, who gave up two runs on four hits and one hit batsman through 1.1 innings before exiting the game. With the game 2-0 in the top of the second in favor of Austin Peay, and two runners on base with only one out, junior pitcher Allen Montgomery entered the game in relief of Boeckmann for the Salukis. 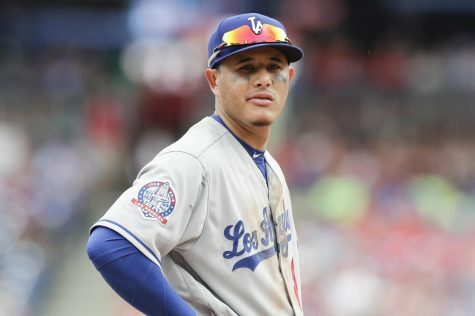 He succeeded in shutting down Austin Peay’s hitters, leaving the two inherited runners stranded on base to end the inning and keep the score 2-0. Montgomery remained in the game and pitched well, limiting Austin Peay to two unearned runs on three hits while walking none and striking out five through his 4.1 innings of work. Four more Saluki pitchers combined out of the bullpen to finish the final 3.1 innings of Tuesday’s game, allowing only two hits and no runs while striking out four and walking none to keep Austin Peay from adding to its 4-0 lead. 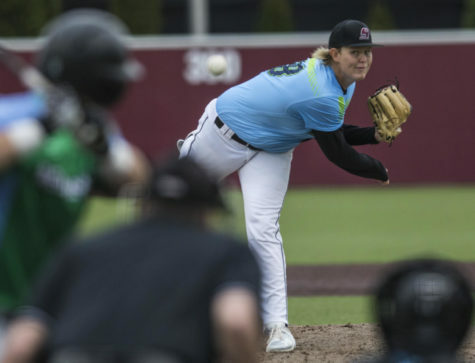 All six Saluki pitchers in Tuesday night’s game managed to complete their innings without issuing a walk. 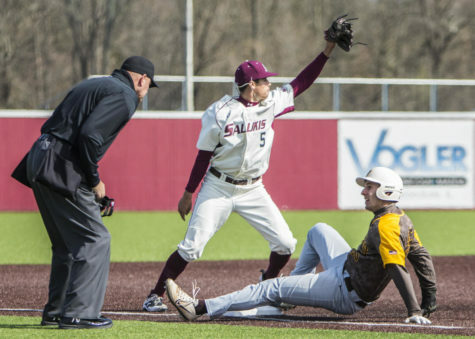 Saluki hitters did not fare well in Tuesday’s game, managing only one hit through nine innings. 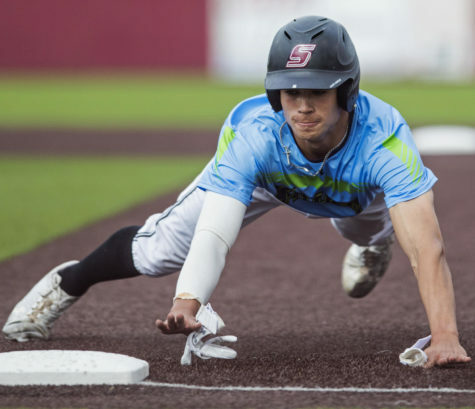 Southern did manage to threaten in the bottom of the eighth when freshman Brad Harrison came in to pinch hit for junior designated hitter Hunter Anderson and drew a lead-off walk. 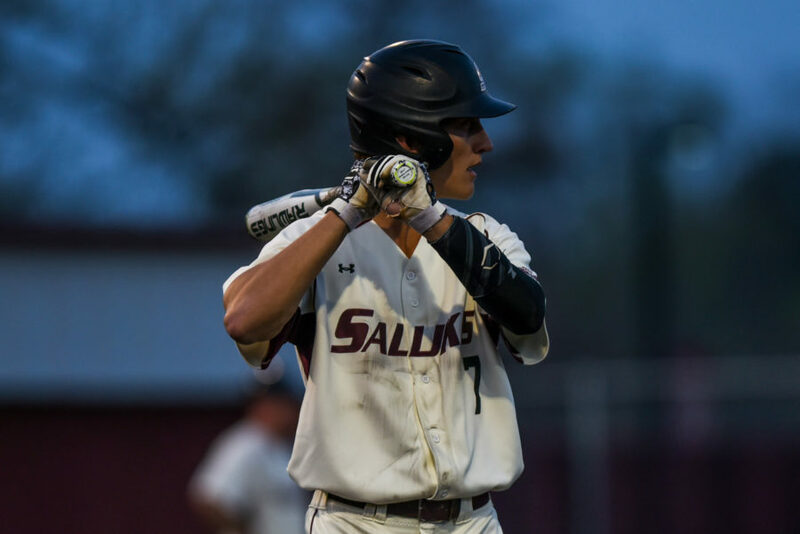 Senior shortstop Will Farmer was hit by a pitch in the next at bat to put runners at first and second with no outs in the inning. 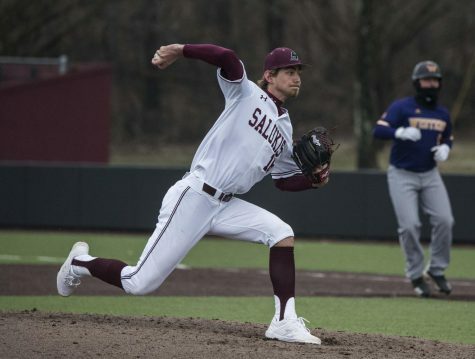 But the Salukis failed to come through with a clutch hit, with a fly out, strikeout and ground out from the next three Southern batters ending the rally before it could begin. 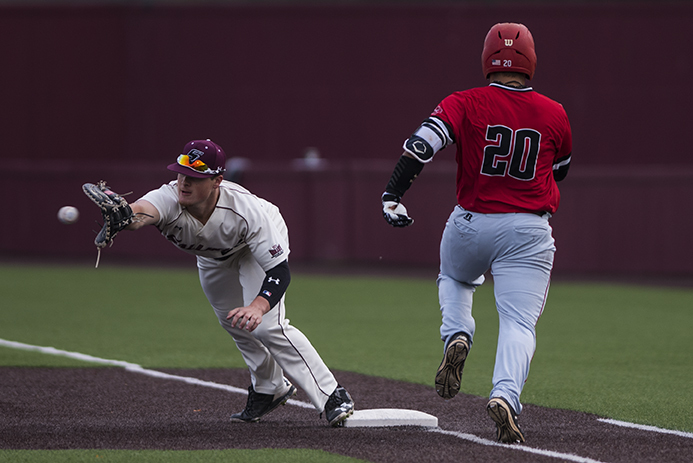 Southern did not reach base in the bottom half of the ninth, going down in order to end a miserable day at the plate for the Salukis. 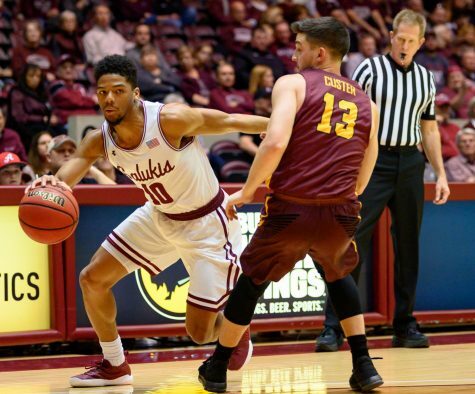 Coach Henderson was clear that the lack of drive does not solely land on his player’s shoulders. But the Saluki skipper ensured that Tuesday night’s game is not a foreshadowing of what to expect from the team in the future. 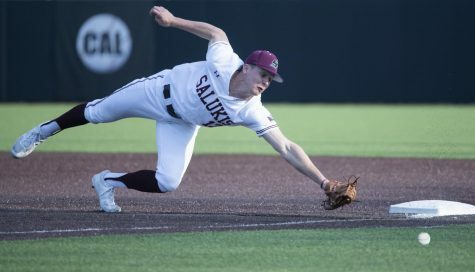 SIU (15-15, 3-0 MVC) will try to find its energy with a practice day Wednesday before traveling to Kansas for a three-game conference series against Wichita State this weekend. 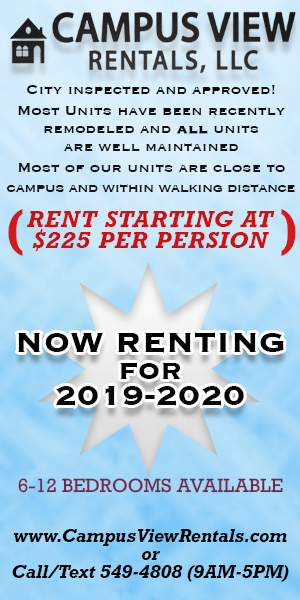 The first game is scheduled to begin at 6 p.m. Friday. Senior pitcher Chad Whitmer will start the first game of the series for the Salukis.